These fat burning foods can help you lose weight and shed excess body fat. So plan your next meals using some of these foods for weight loss that help rev up your fat burning furnace. Foods that aid in burning fat are those foods that require considerable energy to digest while providing the least amount of energy. Basically, you are looking for foods that are low in calories but require energy to process. These types of foods will help burn more fat and calories as your body digests them. Foods that are high in protein are the best for burning fat. This is because protein requires more energy to digest than fat, therefore, the more protein you eat the more calories your body burns. But the list of foods to burn fat doesn't stop with the proteins. Keep reading to see the entire fat burning foods list. Eggs are high in protein and contain vitamin B12 which helps your body break down and burn fat. Eggs have received a bad rap in the past due to the high cholesterol content. However recent studies show that dietary cholesterol has little effect on blood cholesterol. If you are concerned about the cholesterol level try eating just the egg whites or an egg substitute. Navy, kidney and white beans are high in protein, fiber and iron. Make sure to cook these before eating as some fibers can cause gastrointestinal disturbances (if you get my meaning). Minimize beans that are refried or baked as these are high in fat and/or sugars. We all know that meat is high in protein but you want to make sure the cuts you use are lean. This way you get the benefit of the protein and not the added fat. Look for the leanest cuts of meats like loins. Don’t just eat beef but mix it up with turkey and pork as well. But be careful as basted turkeys are usually injected with fat and would not qualify as a fat burning food. Although not a favorite of many people, this food is a very good source of protein, specifically soy protein. This high protein vegetable makes the list of fat burning foods not only for it’s protein but the health benefits as well. This is a great addition to any meal plan but is especially great for vegetarians. Fishes like salmon and tuna are not only a great source of protein but offer the benefits of omega-3 fatty acids. These fatty acids are essential and are the good fats. Salmon and tuna also help boost your immune system so trying eating these foods three times a week. 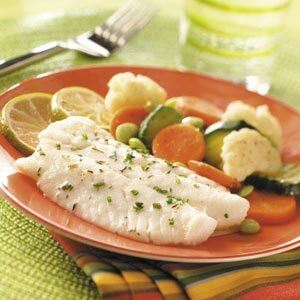 Check out all the benefits of fish by reading this article. The calcium and protein in low fat or fat free dairy products promotes weight loss and helps to maintain muscle mass. By maintaining muscle mass you are burning more fat and calories because muscles are more metabolically demanding. Low fat or skim milk, yogurts and cheeses are great sources of calcium. Not only are these foods that burn fat but help strengthen bones as well. Vitamin C is the secret to burning fat in citrus fruits. This is because the vitamin C reduces fat’s effectiveness and can dilute the fat so that it exits the body. Good sources of vitamin C citrus fruits include grapefruits, oranges, limes and lemons just to name a few. Try to get three servings of fruits a day and make some of these citrus fruits. There are many veggies high in vitamin C that will also give you the same fat burning benefits. These vegetables include broccoli, cabbage and celery. Veggies also offer high fiber content which is also beneficial in weight loss. Foods high in fiber aids to eliminate waste from your body which helps minimize food as being stored as fat. When selecting your high fiber foods choose foods with whole grains. Whole grain breads and cereals are a great source of fiber. Try having a bowl of whole grain cereal with skim milk to combine two fat burning foods into one meal. Foods like olive oil, cayenne pepper, cinnamon and garlic have been touted as foods that burn fat. Garlic is a natural blood sugar regulator to help keep insulin levels low. This allows foods to be used for energy instead of being stored as fat. Just ¼ teaspoon of cinnamon can help metabolize sugars 20 times faster and lower your body’s blood sugar level. Cayenne peppers and other spicy peppers triggers a thermodynamic burn that lasts for hours after eating, helping you to burn more calories. Extra virgin olive oil provides approximately 85% of the daily value for monounsaturated fats. These are the good fats that you need. Olive oil can help keep cholesterol levels low as well as aid in burning fat. So create your new recipes using these fat burning foods and these metabolism booster foods. You will see some commonality between the two food lists as many foods not only help burn fat but boosts your metabolism. Don’t forget to add your fat burning exercises as well to get the most out of your fat burn. Check out these fat burning foods that will help speed up your metabolism. Search for recipes using these foods to burn fat. 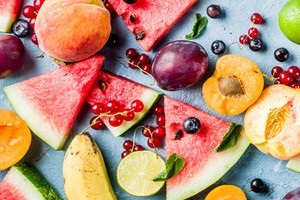 In addition to adding fat burning foods to your meals, check out this article to find out other ways to eat healthy and lose weight. Try some of these high protein recipes to boost your fat burning process. Help your body, mind and soul with some of these feel good super foods.